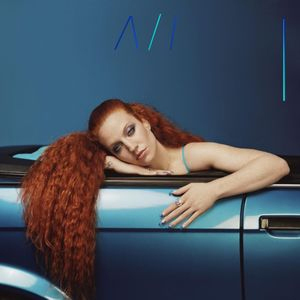 Spin This: "Never Let Me Go," "All I Am"
After hearing a one-minute and a half intro possessing gospel piano, big harmonies and hip-hop beats, just enough bait to be a full-length song (“Intro”), Jess Glynne slides into “No One” on her latest album, Always in Between. It sounds Adele’s “Rolling in the Deep” mashed up with Felix Da Housecat’s mix of Nina Simone “Sinnerman,” but lacks the sweeping melodies of her proudest hits. The likable, but safe “I’ll Be There” and a reflective “Thursday,” immediately following the opener, both feel a bit sophomoric. And that’s not a good sign, especially for the young talent that broke ground appearing as the lead vocalist on Clean Bandit’s 2014 mega-hit “Rather Be.” Not having solid tracks at the top of the hour is detrimental to an album’s pulse, and as good as Glynne sounds vocally, she seems cheated by her army of producers and contributing writers by this point. But the album does find a few sweet spots to hearken at. “All I Am” traces the disco sequence and bubbly joys of “Hold My Hand,” even if it pales in comparison to it. It’s a good offering, but further along the attentive ear discovers the album’s true gem. The smart contrast of big bass, splashy synths and New Edition R&B soul evidenced on the Julian Bunetta-produced “Never Let Me Go” is Glynne’s greatest moment here. “Hold me like I’m falling from the top floor/Like my body is out of control,” she echoes on the singalong chorus. After one good listen, you’re pretty much hooked and are left hungry for more. But as the journey continues, more costly decisions get in the way of the experience. The aptitude of “Broken” could’ve easily been her Andra Day-“Rise Up,” but an alarming vocal wobble, like a melisma being electrocuted, gets in the way. “Love/Hate” feels like a flashback to Chrisette Michelle soul, but the lyrics have a hard time sticking (“I gave my all to be the best but you let me go to waste”). And then on the deluxe edition, you hear “Insecurities,” a song that feels so demo-like that it sounds like it was recorded unto an iPhone. All of this just feels like label execs rushed this hodgepodge out with the hopes of seeing what will stick to the wall. Alas, Glynne is still a young developing artist. She doesn’t want to be the artist that sings a ton of “Rather Be” for a full hour-long show. And she’s learning, making strides of discovery along the way. For sure, she’s going to hit a few bumps along the way. Obviously Always in Between is not her best moment, but she’ll rebound. She’s got too much talent to be defined by this faux pas.